Heavenly offers great tasting snow cone syrup and concentrate at an economy price. Try multiple flavors in smaller quantities. Packaged in 12-4 oz plastic bottles. Regular Syrup is made with 100% pure cane sugar. Sugar Free is made with Splenda. Concentrate requires mixing with Simple Syrup. 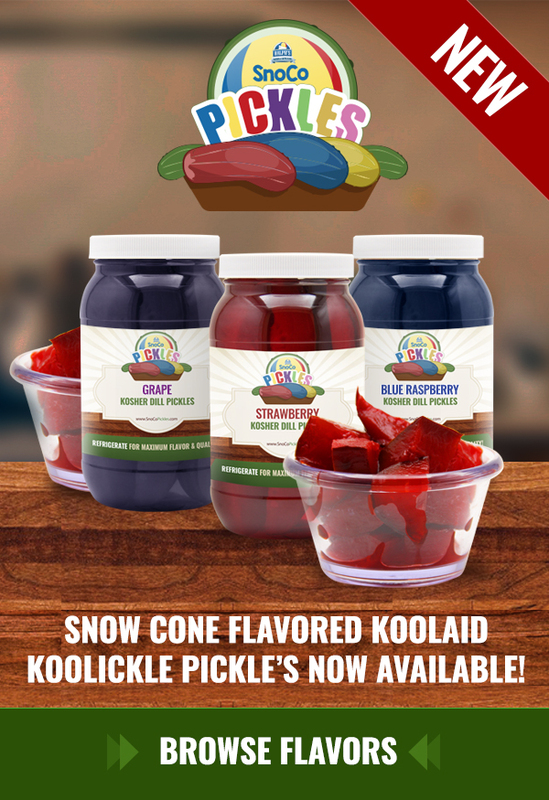 24 quarts snow cone syrup ships free! 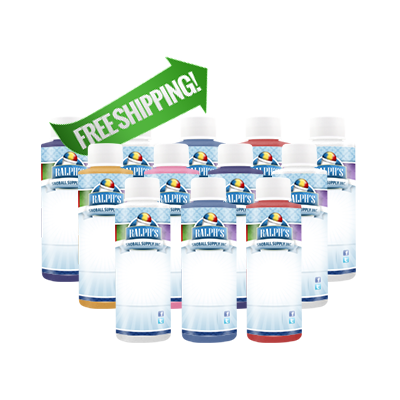 Available in Traditional, Diet, or Sugar Free. This is an offer you can not refuse. 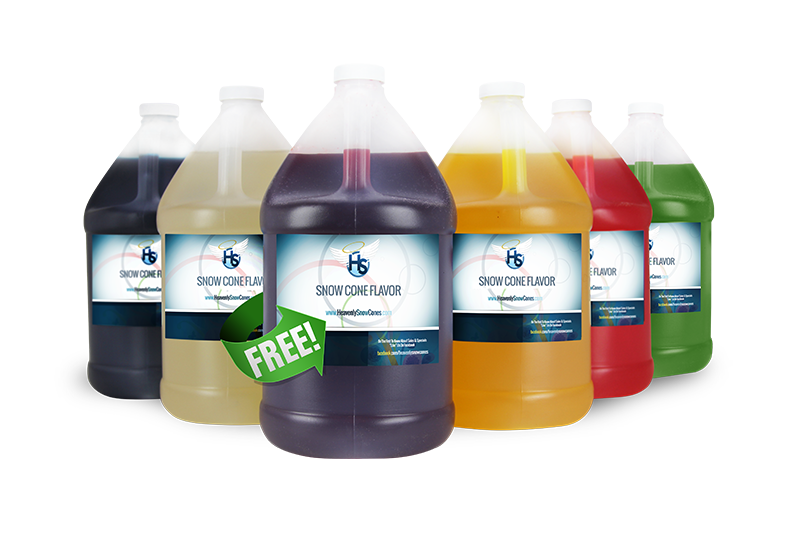 Get free shipping on 24 gallons of premium quality snow cone syrup! 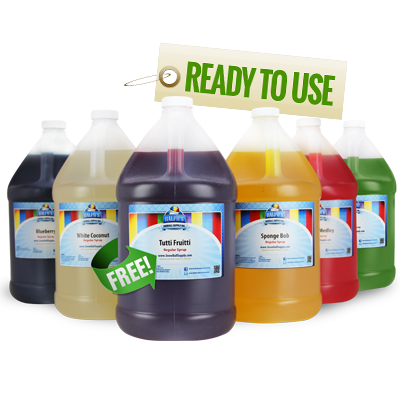 Buy 5 Gallons of Heavenly Diet, Concentrate, or Traditional Snow Cone Syrup and Get an Additional Gallon FREE! 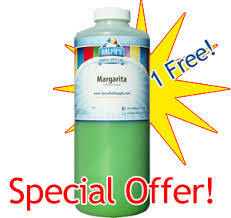 Buy 5 Gallons of Ralph's Diet, Concentrate, or Traditional Snow Cone Syrup and Get an Additional Gallon FREE! 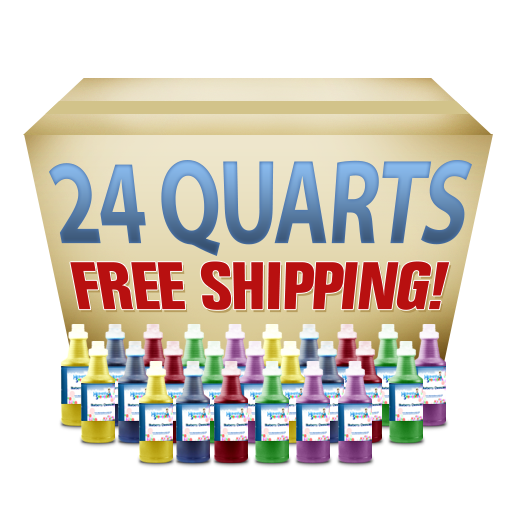 Buy 5 Quarts of Ralph's Snow Cone Concentrate and Get an Additional Quart FREE! 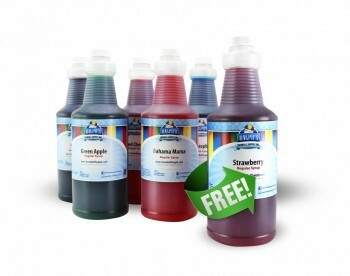 Buy 5 Quarts of Ralph's Snow Cone Syrup and Get an Additional Quart FREE!